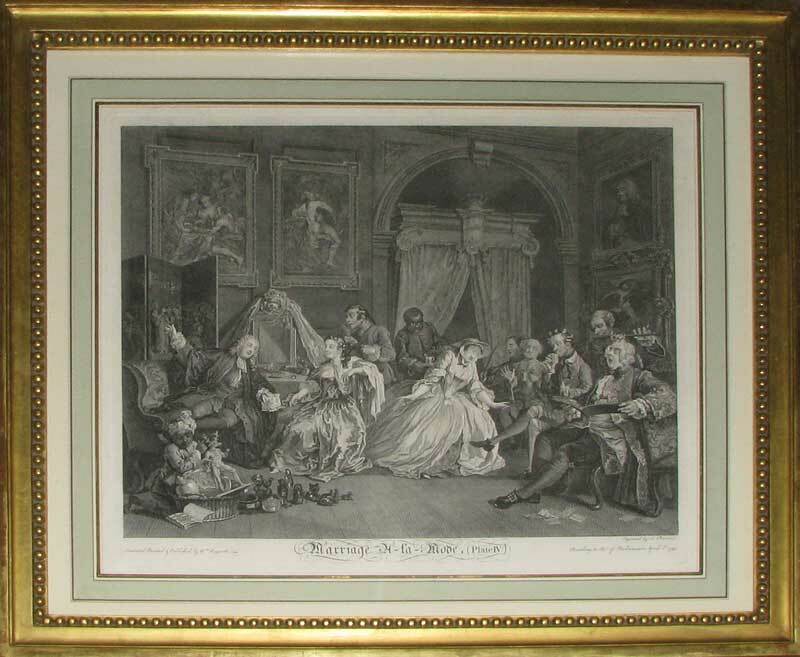 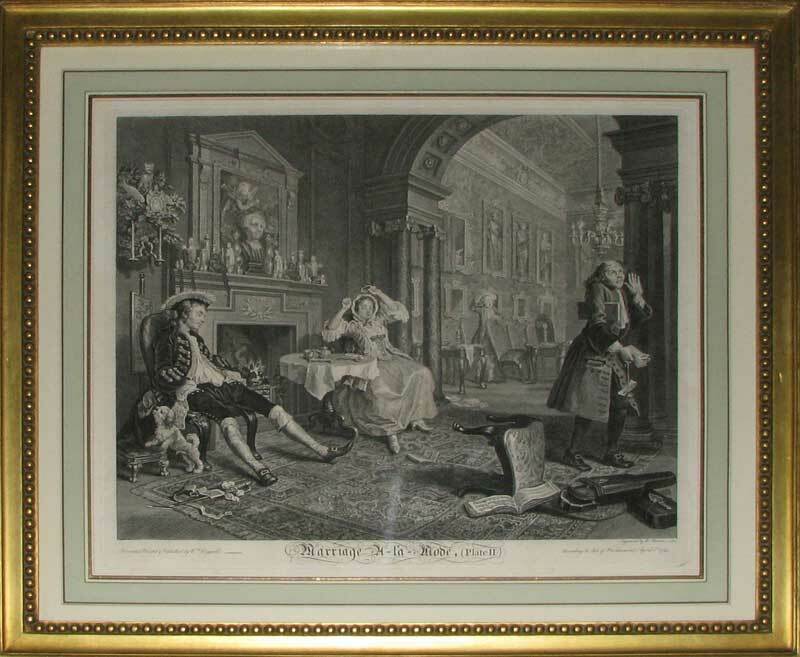 Fine early examples from the original plates of Hogarth's famous 'conversation piece' series, depicting the sorry story of a wealthy couple's marriage. 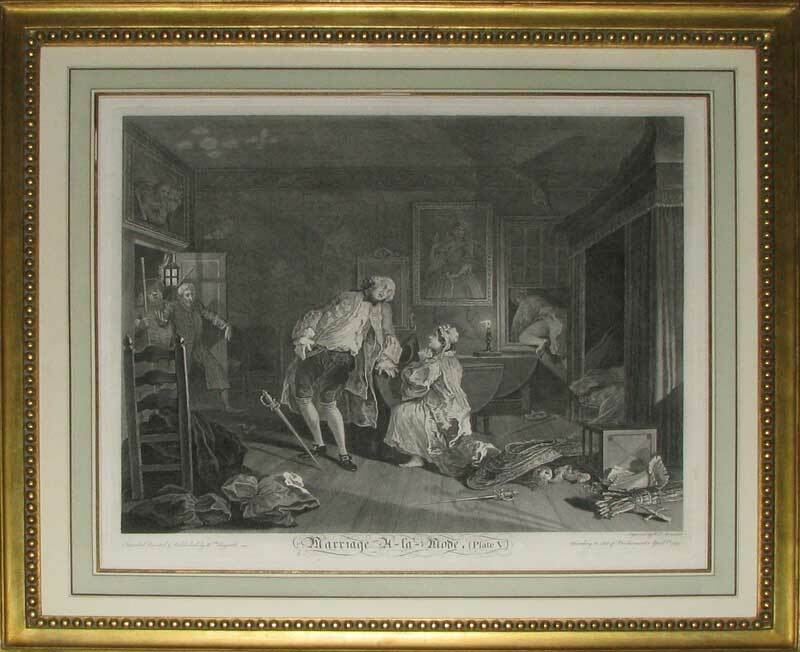 Hogarth is, perhaps, the best-known and most important engraver of the eighteenth century. 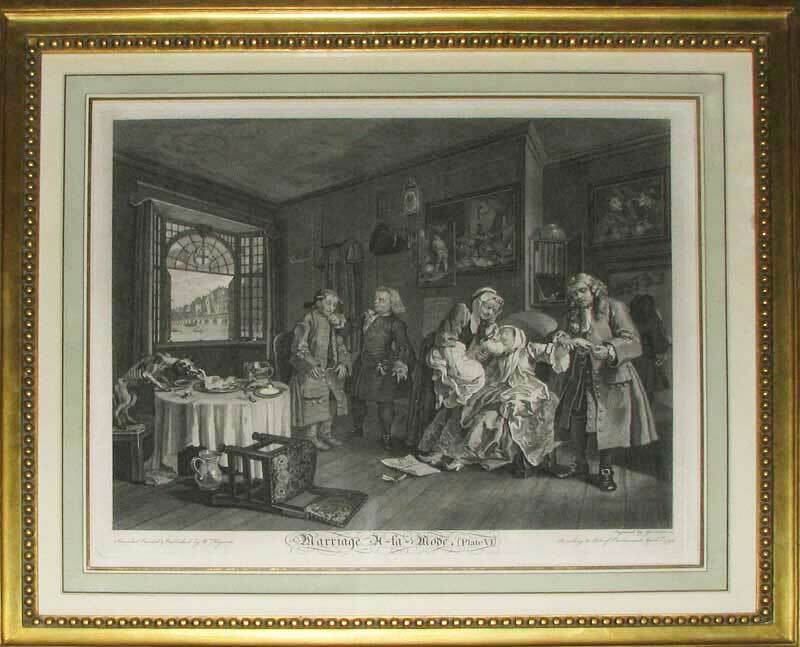 He began his career as an engraver on silver and did not produce his first engraving, a small trade card, until 1720. 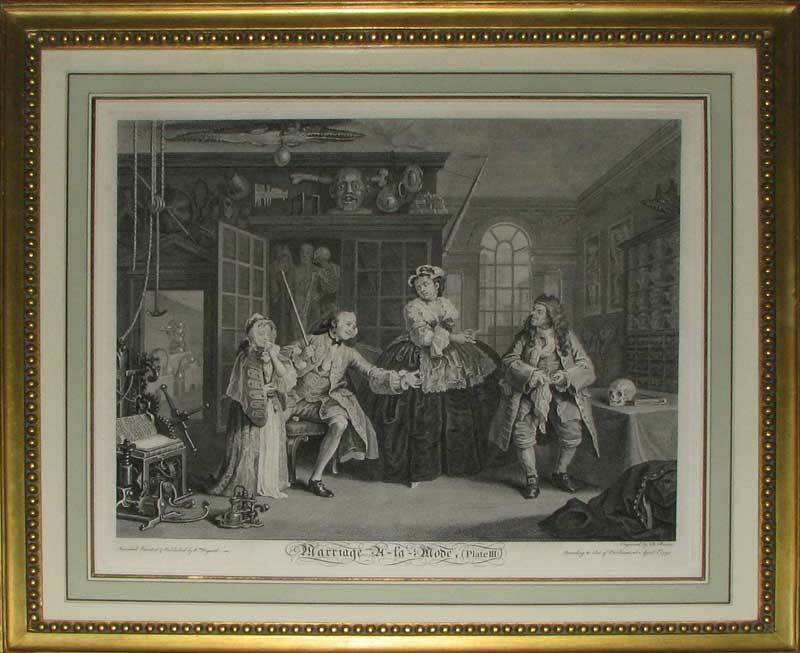 From the moment that he completed the set of six paintings entitled Harlot's Progress and the subsequent set of prints, Hogarth realised that he could convey his message to a much larger audience and profit from the sale of prints at the same time. 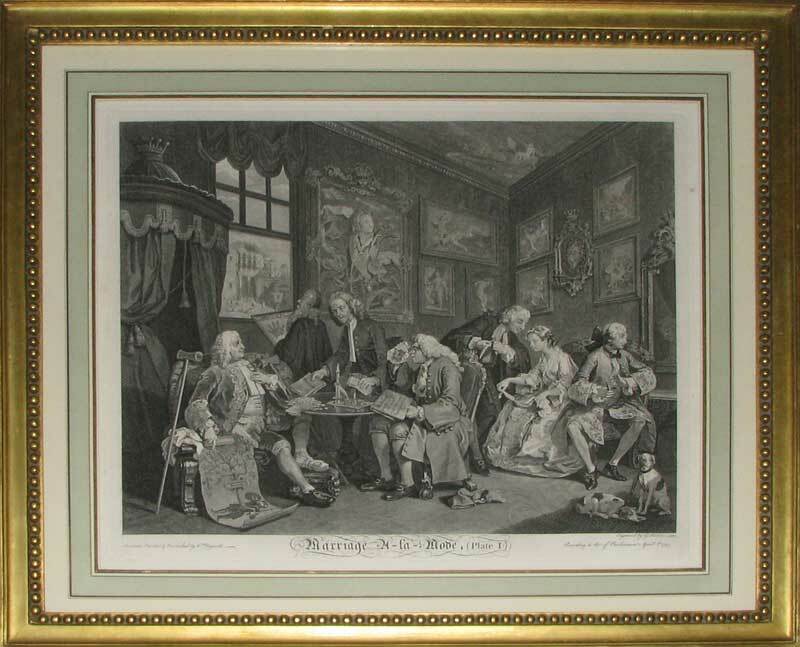 Immediately the prints were executed pirate copies were printed and it was this that prompted Hogarth to agitate for the passing of the 'Engravers' Copyright Act', whereby the copyright of the artist's design was protected for fourteen years.